During the mid 1990’s, in his early 20’s, Richard got very involved at the Pretoria Lodge of the Theosophical Society, taught astrology there and became the librarian. This provided a rich and constant exposure to a great variety of paradigms, practices and teachers. Richard started out on his astrological journey with conventional modern western astrology, but then began exploring Jyotish in 1997, gradually integrating Jyotish into his methodology. He now uses Western and Vedic astrological methods side by side in his practice. 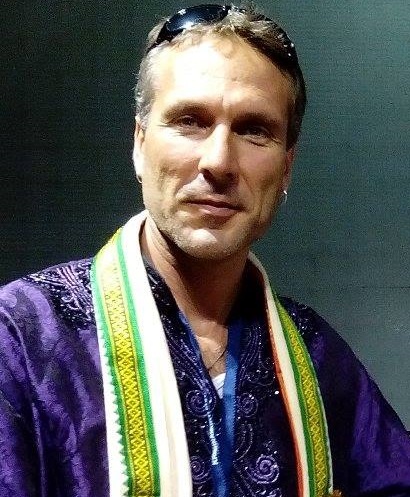 Through his lectures and workshops he has been instrumental in bringing knowledge and awareness of Jyotish to the South African astrological community, and beyond. Richard spent several months in India in 2011 on a personal astrological pilgrimage, to connect with Jyotish at its source after years of self study. He has since visited India several times to learn and teach, twice at the invitation of the Krishnamurti Institute of Astrology in Calcutta.